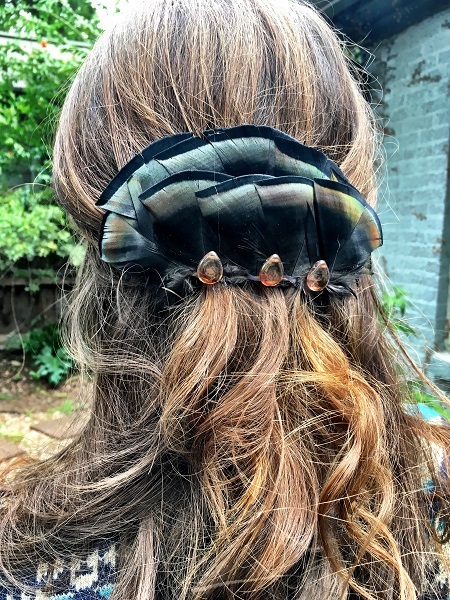 This post is part of my Girl’s Guide to Turkey Hunting. Be sure to check out the other posts in this series, and more are always being added so check back again soon. 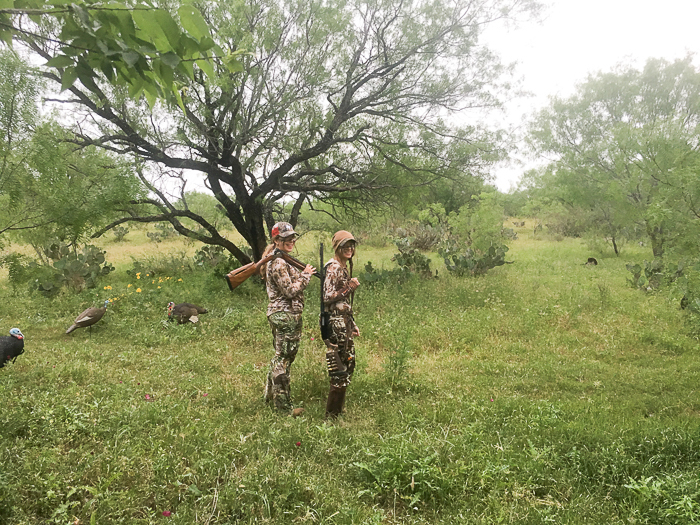 You may get a lot of varying advice when planning your first turkey hunt. 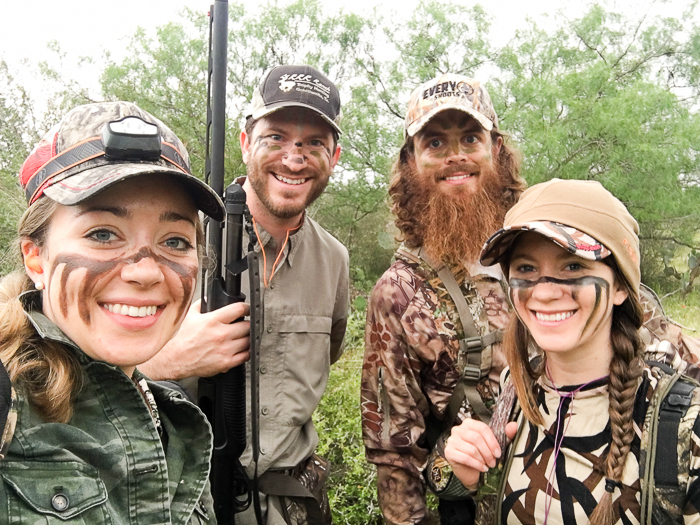 Everyone hunts a little differently, and everyone is eager to give you advice! Frankly, it can be confusing to get so many different people’s input. Here are the lessons I’ve learned so far. 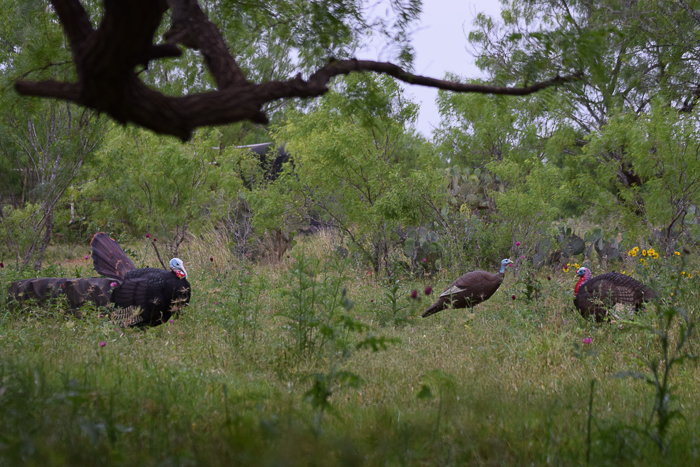 Hopefully this post cuts out the noise and helps you in your pursuit of the wild and elusive turkey. 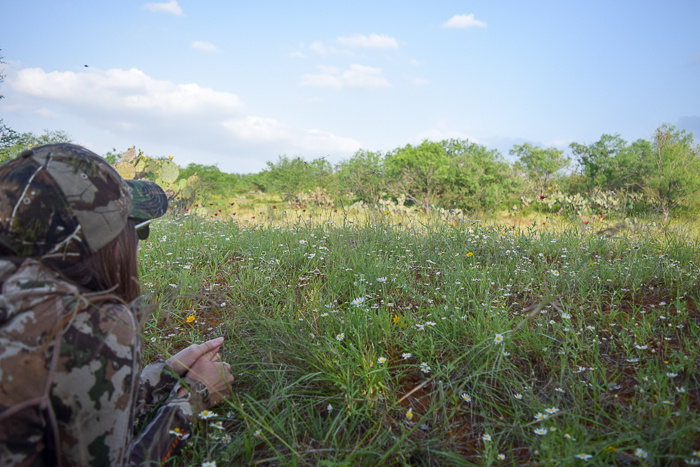 Turkey hunting requires you to sit very quietly in one place for the duration of a morning or afternoon, waiting for turkeys to come around. When they don’t come, it can be very tempting to keep making eager sounding turkey calls in hopes they appear. But actually, this can have the opposite effect, in scaring them off because you seem to excited. Ultimately, it is a great exercise to sit patiently for a little while and listen, relax, and enjoy nature. 2. Take a seat cushion with you! Sitting on the ground for hours can be rough on your derrière, so I definitely recommend taking a seat cushion (like this one) with you. I promise you will thank me later. If hunting in the Spring, you will need decoys to help attract the males to your spot. We used 2 females and 1 male, and you can get these on Amazon here. Listen to their various calls on Youtube so you’re familiar with how they sound before going out! PEOPLE. Trust me, you must wear bug spray or you will be mis-er-a-ble!! I start to itch just thinking about how many chigger bites I got on my first turkey hunt. I couldn’t wear skirts or dresses to work for about three weeks, otherwise my coworkers would have been horrified by the bug bites. Trust me, Deep Woods 25% deet–or more–is what you need. None of this organic deet free stuff. Tuck your pants into your boots as well. Including face paint. (This one comes in a cute little compact with a mirror! Buying!) 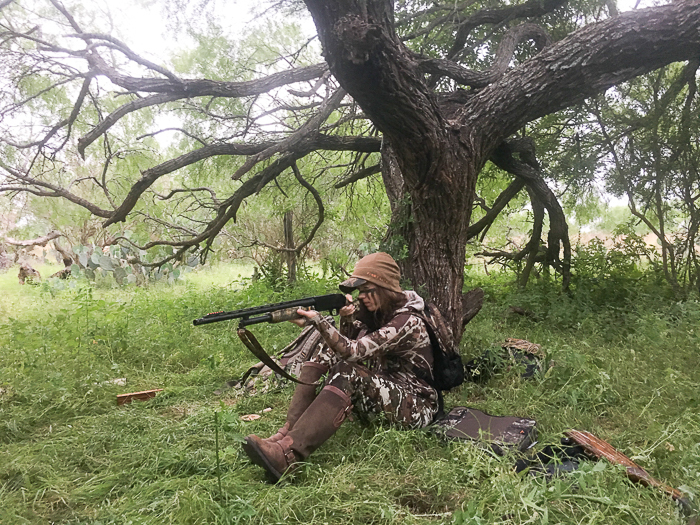 I don’t usually get completely decked out in camo when hunting deer, dove, or quail but you need camo for turkey. They have excellent eyesight and notice anything out of the ordinary. Turkeys have great vision–it is just about their only defensive asset–and they sense even the slightest motion. Try to be as still as possible, especially once they are coming in to the sound of your calls. Some people use a rifle but I definitely prefer the spread of a shotgun. I recommend 12 gauge. 9. Aim for the head. This preserves the meat so you can eat it, and it is delicious. Nuff said! 10. 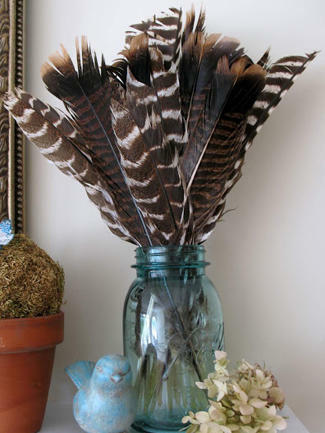 Cut the breast and legs out without removing feathers. You don’t need to completely de-feather the turkey in order to eat it. Just simply cut out the breast meat as if you were cutting the breast out of a chicken, skinning the breast and leaving the feathers attached to the skin. It is so much easier this way! 11. 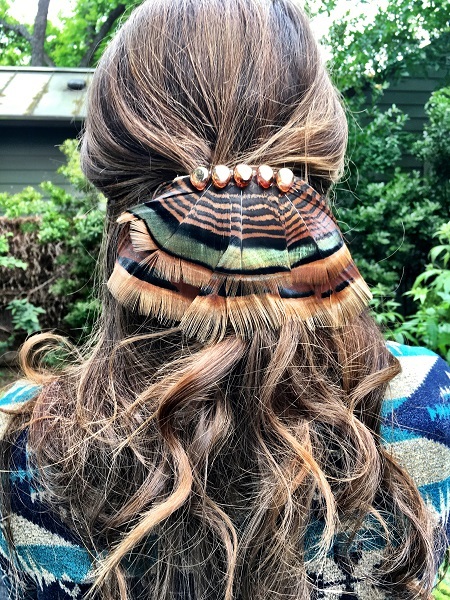 Save the feathers for something fun! Turkeys have beautiful feathers–and a lot of them–and it’s a waste to trash them! They are iridescent in sunlight and are truly magnificent, plus they add a fun decorative flair to your casa. Make them into something fun like a hair clip or barrette, or put them in a silver vase and display them on a chest or buffet! 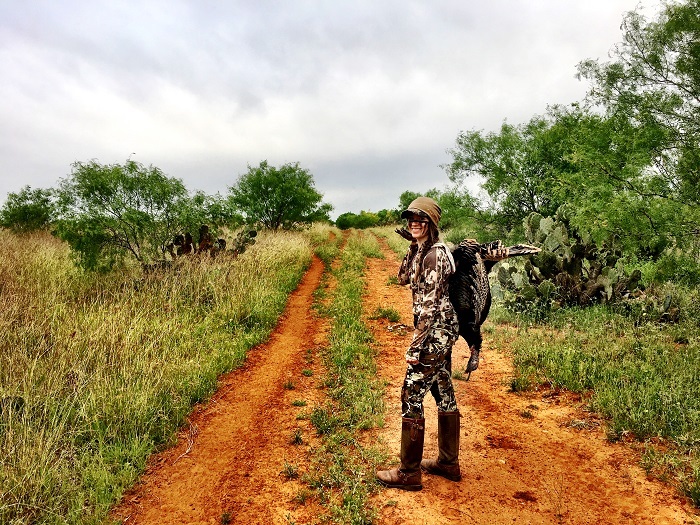 2 Replies to "10 Tips for the Beginning Turkey Huntress"
Amen to the seat cushion!!! And those barrettes are super cute!